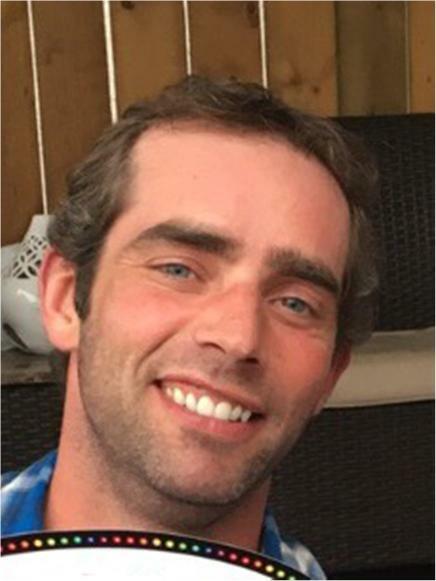 It is with great sadness the family of Ryan Ellis Muxlow announce his sudden passing after a tragic accident on Friday, August 10, 2018 at the age of 39 years old. Ryan will forever be remembered by his wife Stacy; their four sons Kegan, Mason, Zander, and Lawson; his parents Dale and Karen Muxlow; his sister Melanie (Dustin) Tessier and their daughter Sydney. He will also be remembered by Stacy’s family including her parents Bob and Kelly Ann Schad; sister-in-law Jo-Anne Hala and children Macie and Kade; brother-in-law Rob Schad and daughter Kalani. Ryan had numerous extended family, including his rig family, that mourn his passing; his grandmother Vickie Storle, aunts, uncles, cousins and many close friends. He was predeceased by his grandparents Leonard and Jemaine Muxlow; his grandfather Irvin Storle; his uncle Roger Storle; cousin Deanna Storle; and brother-in-law Devin Hala. Ryan spent the last 22 years working in the oil field industry and has been working as a Drilling Consultant. He is known for his strong work ethic, ability to fix anything and due to his ingenuity was given the opportunity to design one of the first Range 3 Super Double Oil Rigs on behalf of Panther Drilling. Ryan farmed for a period of time, and was also involved in trucking with his Dad, among other things. Ryan was known for his quick wit and dry sense of humor. He had a passion for Mustangs and Ford Fairlane cars, and was working on restoring a 66 GTA Ford Fairlane. Ryan amazed people by his physical strength. He loved his Tim Horton’s coffee. Ryan had integrity and was well respected by all who knew him and all employees who worked with him. He was not afraid to speak his mind and never looked for praise. Ryan had no patience for stupidity or other people’s ignorance. Ryan had a heart as big as he was and was always willing to help anyone. Ryan was a beloved son, brother, husband, father, uncle, nephew, grandson, cousin and friend. Ryan was truly one-of-a-kind and he will be greatly missed. The loss of Ryan leaves an immeasurable void in the hearts and lives of all who had the honour to know him. A Visitation was held from 7:00 to 9:00 p.m. on Thursday, August 16, 2018 at RD Family Funeral Chapel, Weyburn, SK. A Celebration of Life for Ryan was held at the Weyburn Curling Rink, on Friday, August 17, 2018 at 11:00 a.m. Pallbearers were: Carey Lohse, Derek Anderson, Rob Svedhal, Colin Tessier, Jay Temple, Darcy Muxlow, Chase Muxlow and Brad Storle. A Private Family interment was held at Hillcrest Cemetery Weyburn, SK. Luncheon followed at the Weyburn Curling Rink. To leave a message of condolence, share memories or photos of Ryan please visit the “a tribute to Ryan Muxlow” page on Facebook. To upload images or videos go to www.ryanmuxlow.com. This will later be converted into a memorial website to remember, honor and celebrate Ryan’s life.